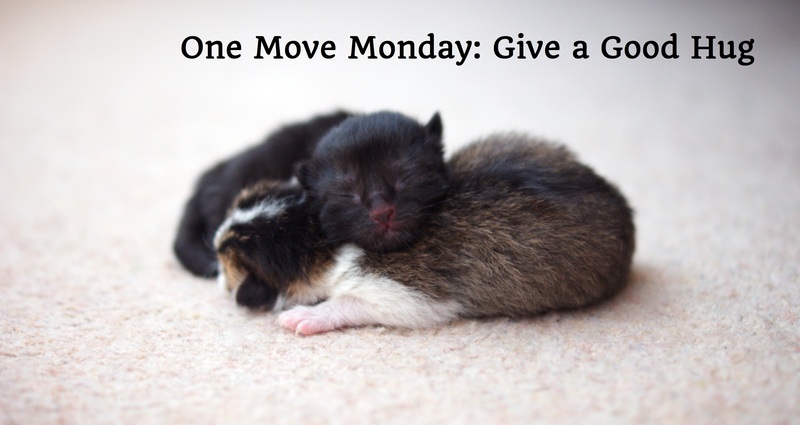 It’s Monday and it’s time for One More Move that will bring you closer to your authentic success. This week I challenge you to hug someone for five minutes. Yes, five minutes! In this digital world we’re constantly seeking to connect with more information; more friendships; and more experiences, but sometimes the rush to go from one activity to the next causes us to miss the authentic human to human connection that comes from physical contact. Hugging, holding a hand, or giving a pat on the back are always to physically and spiritually connect and be a touch point in someone’s life. As a #mompreneur I am always struggling to find quality time with my husband and daughter, yet when I take the time to hug them beyond the quick embrace on my way to work, I find I feel refreshed and fulfilled. There may be some science behind the method! When we connect in a hug, we generate an oxytocin flow that helps us feel less anxious; get better sleep and boosts our sense of belonging. Interested in learning more about oxytocin? Here is a great Ted Talk discussing how oxytocin may build our morality, which builds trust and eventually stable authentic success. When is the last time you had a good hug? If you take this challenge let me know how it was on twitter @NzingaHart. Entrepreneur! You Need to Know Inbound Marketing.